The first state-regulated bobcat season that began earlier this month in southern Iowa ended Monday when trappers reached the quota of 150 cats. Department of Natural Resources biologist, Ron Andrews, says the three week run was about what he expected. Andrews had predicted the season might make it to Thanksgiving, so he says it’s pretty close. He says the time period is indicative of the growing population of bobcats in the state. The season total could go above 150, as hunters have a 48-hour grace period to check their traps once the quota is reached. Andrews says anything taken after the grace period that ends at eight A.M. Wednesday, have to be turned into the DNR if they’re dead, and if the animals are alive, he says hunters should turn them loose. Andrews says the animals taken in the hunt will be around 10-percent of the suspected bobcat population. He says they know the population is growing at 10 to 20-percent annually, but he says it’s tough to tell how many animals there are. Andrews estimates there’s around 2,000 in the lower two tiers of counties. Andrews says trappers mostly go after the bobcat’s for their fur. Andrews says there is a market for the fur, but some will hunt the animal as a trophy and have it mounted or have the pelt tanned. Andrews says the DNR is analyzing the bobcats that have been caught to determine if there’ll be another bobcat season next year. He says they look at reproductive data, the age of the animals and evaluate what to do next year. Andrews says the season could have the same quota as this year, it could be more, or the season could be expanded to other counties. . 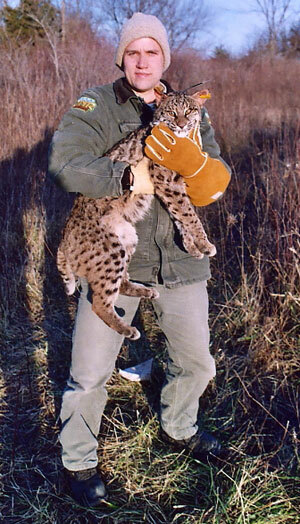 The bobcat season was limited to one bobcat per person, regardless if it was hunted or trapped.